Cheap in price yet reliable for the range! 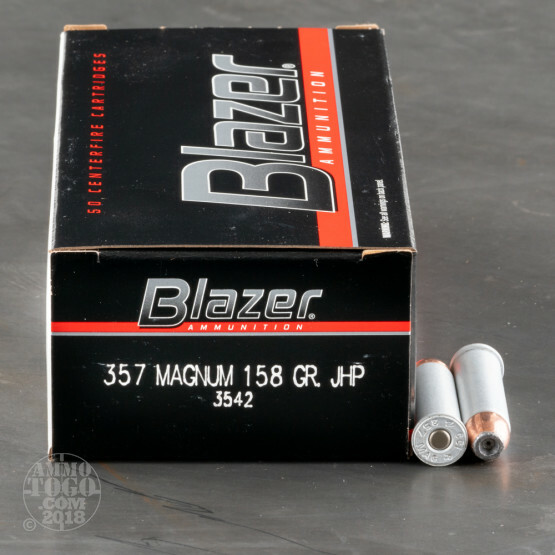 This CCI Blazer 357 mag ammunition features cases made from a high-strength aluminum alloy similar to that used in 30mm anti-tank rounds. Cases are coated to provide smooth functioning and resist corrosion. CCI's clean burning propellants deliver optimum velocity, propelling the 58 grain jacketed hollow point a velocity of 1150 feet per second from the muzzle with 464 foot pounds of energy. These JHP bullets deliver impressive terminal expansion, producing extensive damage in soft tissue while preventing over-penetration issues. JHP rounds also provide easier feeding in semi-automatic pistols. 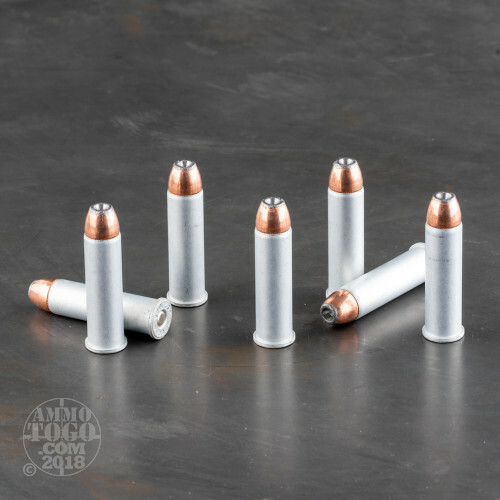 Use these rounds for target shooting or self-defense applications. This ammunition is factory fresh and features highly sensitive, non-corrosive Berdan primers. An excellent option for long-term storage, this economically priced .357 Magnum ammunition is packaged in 50-round boxes. 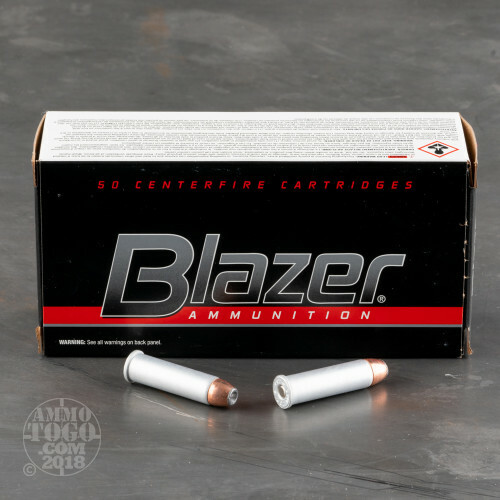 All Blazer ammunition is manufactured at the CCI facility located in Lewiston, Idaho. 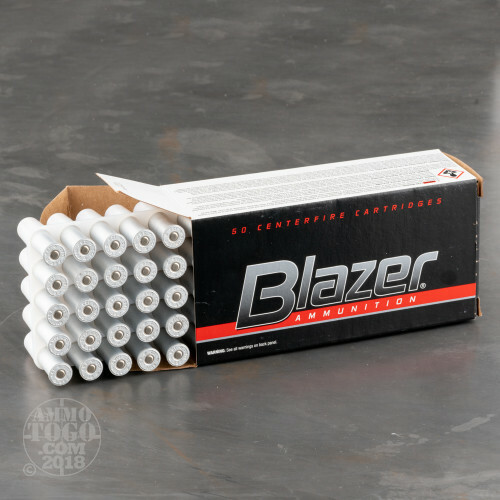 Delivering the ballistic uniformity, accuracy, reliability and power of service ammunition, Blazer rounds offer the modern shooter substantial savings and value.